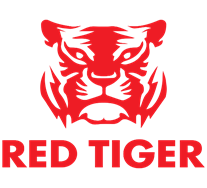 Casino game and software supplier Red Tiger Gaming is to unveil its new Daily Drop pooled daily jackpots at ICE. The network-wide jackpots, which will available to any brand with a Malta licence, follow the success of its operator-specific daily jackpots with the likes of Paddy Power, Kindred, William Hill, and Poker Stars. Gavin Hamilton, CEO at Red Tiger Gaming, who will be showcasing the network on the company’s stand at ICE this week, said he was delighted to be able to bring their very successful daily jackpots to its entire network, regardless of size. He added: “We are very excited about the Daily Drop pooled jackpot as it will have equal appeal to players and operators across the spectrum. For the larger ones it will increase the chances of their players winning and for the smaller ones it will finally give them a seat at the table. Red Tiger’s Daily Drop pooled jackpot is set to launch in March and will be available across all of its slot titles.